A group of researchers has discovered proof for a strange particle that, strangely, is also its own antiparticle. It was first proposed 80 years ago but now existence of it might be a reality. The results, published in the journal Science, were led by researchers from Stanford University in California and the University of California. 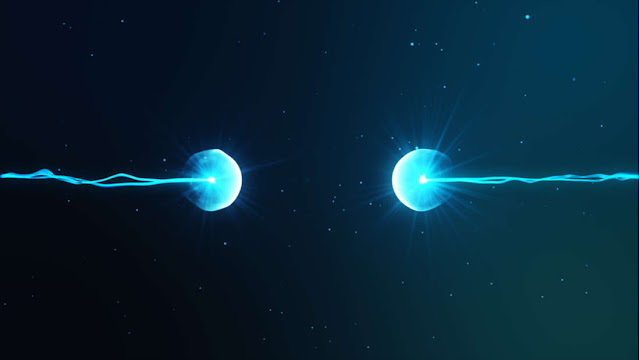 The notion of a particle having its own antiparticle was first introduced in 1937 when Italian physicist Ettore Majorana (who strangely disappeared in 1938) first suggested the theory. He said that inside the class of fermions, which comprise protons, electrons, and neutrons, some particles must have their own antiparticles, which became known as Majorana particles. An antiparticle is a particle that has the same mass as the normal particle, but a reverse electric or magnetic property. For instance, the electron’s antiparticle is the positron. If the two come across each other, they annihilate each other. In this study, the group of physicists stacked thin films of two quantum materials together and directed an electrical current through them in a chilled vacuum chamber. The top film was a superconductor, and the bottom one was a magnetic topological insulator. By sweeping a magnet over the stack, the team was then able to adjust the speed of electrons. At certain points, this triggered what seemed to be Majorana quasiparticles to appear in pairs alongside with electrons. One was always bounced away so that the flow of the individual quasiparticles could be measured. The particular kind of Majorana quasiparticle they think they’ve found is called a “chiral” fermion, which moves along a one-dimensional path in one direction. So the scientists are denoting to this as “smoking gun” indication of Majorana particles. It was already believed that neutrinos might be their own antiparticles, though separate research is ongoing to find out if that’s the case.